Have we all, ever wondered, what all our human body can do? There are so many biological systems which are connected with one another intertwined to form one human body, yet each one is so different from the other in functionality. 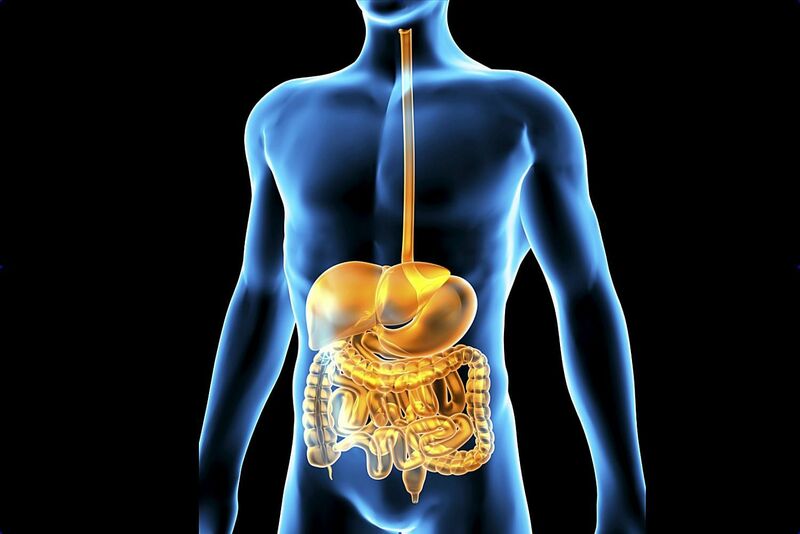 There are organs which are essential for our survival such as the brain which is the body`s control system and helps in sending and receiving signals from the nervous system, the heart which is responsible for pumping the blood throughout the human body, the kidneys to remove the excess waste and extra fluid from the blood, the liver for detoxifying the harmful chemicals and the lungs for removing the oxygen from the air and transferring to the bloodstream. But with these vital organs which we have, there are few organs which can be completely separated from the body without any issue as well. According to CNN Health; there are 10 organs which can be removed entirely without affecting the body and Gallbladder ranks the top of the list. This truly means that Life can still go without a gallbladder isn’t it? According to a study in USA and Canada, 1 in every 15 undergoes a surgery on gallbladder and chances are very high that doctors advised them to go for a removal. Most of the doctors and practitioners believe that once the surgery is done people don’t notice any changes in their overall daily activities but a little attention, in the long run, will reap wonders. Now, this is something which is amazing but it is true that most animal species in the world don’t have gall bladders. As most of the animals eat on a regular basis and in a continuous manner they don’t require bile (i.e. a liquid that helps in digestion of fatty foods) for storage. Examples such as cow, sheep, deer and many other herbivorous animals. But obviously, living without a gallbladder means that there is no production of bile juice as it can no longer be able to store bile. However, when the gallbladder is removed, the reservoir is also removed so practically speaking, even though we will have the same amount of bile in our body, but we will not have as much bile in our intestine after the gallbladder is gone. Gallbladder problems usually occur due to the presence of gallstones which are uniquely very small and hard, consisting of cholesterol fats and bile salts that form in the gallbladder or in the duct. These gallstones can block the flow of bile out of the gallbladder through the duct, causing it to swell and also result in, vomiting, indigestion, sharp abdominal pain and, high fever. Gallstones are also more common as you get older, during pregnancy and some people may have a family history of gallstones. Many times there is no known means to prevent gallstones inside the body thus doctors encourage to go for gallbladder removal surgery. How the Gall Bladder removal surgery takes place? 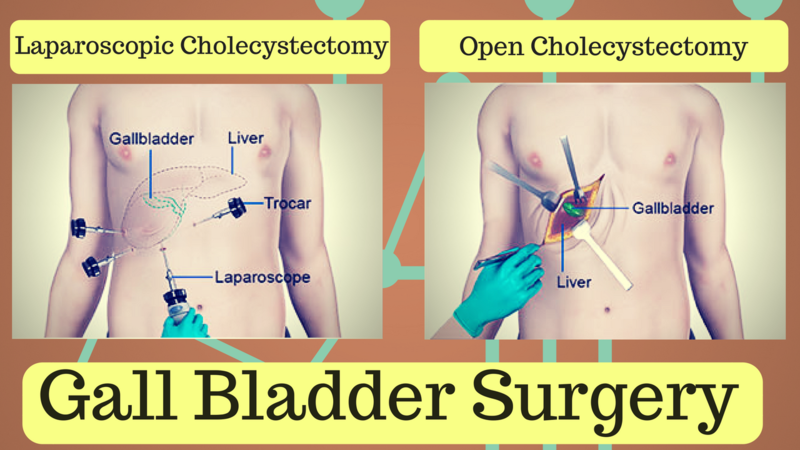 Gallbladder removal surgery or cholecystectomy is a process of removing the gallbladder through to possible methods. Open (traditional) method; One incision of 3 to 6 inches long is made on the upper right-hand side of your belly just below the rib cage area. The surgeon finds the gallbladder which will be present below the pancreas in a shape of a pear, properly cut along the top making sure the nerve ending is taken care and then carefully remove it. Laparoscopic method; This method uses 3 to 4 very small incisions in different areas. It is called as a laparoscopic method because it uses a long, thin tube called a laparoscope. The tube has a small camera attached to it which reaches the location and gives a projection on the TV monitor to the doctor which helps them reaching to the right area with the surgical tools. Then finally the gallbladder is removed through one of the incisions which were done initially during the surgery. Precautions needed after Gall Bladder surgery? Restricting to go on a diet which is high in fats and stick with clear liquids, broths, and gelatine. In total don’t keep more than 20 percent of the daily intake as fats. Slow reintroducing of high-fiber foods, as those are known for causing gas and diarrhea, but will help in curing the wounds faster. Drinking plenty of water to stay hydrated. Drinks with sodium, chloride, and potassium are best after any surgery and for avoiding dehydration. Also, proper intake of juices also helps in faster recovery. Try to avoid/restrict alcohol, drinking containing caffeine and if possible, try to quit smoking habit for about few months, as this can impact central nervous system and also the respiratory system. Caffeine and alcohol can also cause an upset stomach in some people and can cause severe health issues. Last but not the least, Stay positive. Do not be disheartened by stomach discomfort at regular intervals and the limited diet if required or as prescribed by the doctor after gallbladder removal surgery. The probability of getting back to your normal diet within a few weeks is high. Chances are also good that you might continue with the same diet plans as it was before. Even if, despite following all the medical advice, the medical prescriptions and taking sufficient amount of rest makes you feel uncomfortable at times then it’s suggested to be in contact with your doctor, further he/she can give you a personalized solution for your problem if required. So if anybody is planning for a gallbladder surgery in the near future then chances are high that they can go for a safe removal of the same without any worries. I got this site from my buddy who told me on the topic of this web page and at the moment this time I am visiting this website and reading very informative articles or reviews here.